Yngwie Johan Malmsteen 30 June 1963 is a Swedish guitarist and bandleader. 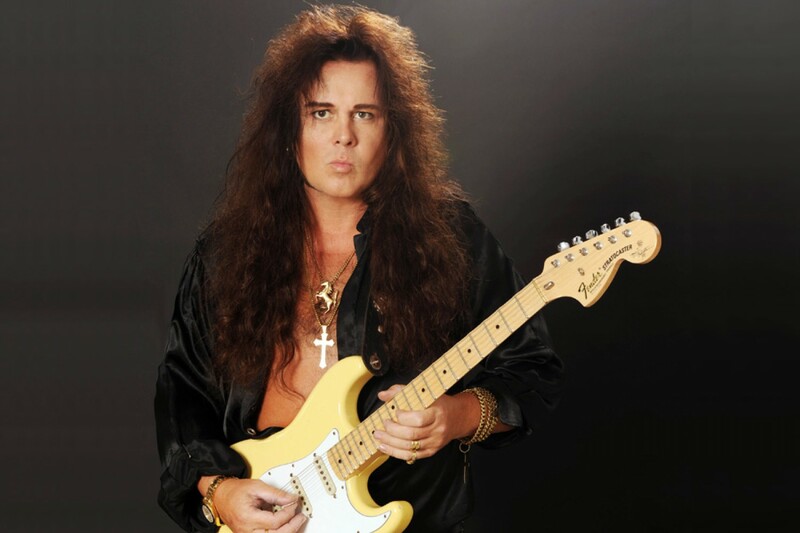 Malmsteen first became known in the 1980s for his neoclassical metal playing style in heavy metal, and has released 20 studio albums in a career spanning almost 40 years. In 2009, Time magazine rated Malmsteen as among the 10 greatest electric guitar players of all time. Malmsteen was born Lars Johan Yngve Lannerbäck in Stockholm, Sweden, the third child of a musical family. At the age of ten Malmsteen created his first band, Track on Earth, consisting of himself and a friend from school playing the drums. At the age of twelve he took his mother's maiden name Malmsten as his surname, then slightly changed it to Malmsteen and altered his third given name Yngve to "Yngwie." As a teenager he was heavily influenced by classical music, particularly 19th century Italian virtuoso violinist and composer Niccolò Paganini, as well as Johann Sebastian Bach, a German multi-instrumentalist and composer of the 17th century. During this time, he also discovered his most important guitar influence, Ritchie Blackmore. Malmsteen has stated that Jimi Hendrix had no musical impact on him and did not contribute to his style, but watching the 18 September 1970 TV special, where Hendrix smashed and burned his guitar, made Malmsteen think "this is really cool". Rising Force won the Guitar Player Magazine's award for Best Rock Album and was nominated for a Grammy for 'Best Rock Instrumental', reaching no. 60 on the Billboard album chart. Yngwie J. Malmsteen's Rising Force (as his band was thereafter known) next released Marching Out (1985). The band recruited Jens Johansson's brother Anders to play drums and bassist Marcel Jacob to record and tour with the band. Jacob left in the middle of a tour and was replaced by Wally Voss. Malmsteen's third album, Trilogy, featuring the vocals of Mark Boals (and Malmsteen on both guitar and bass), was released in 1986. In 1987, former Rainbow vocalist Joe Lynn Turner and bassist bassist Bob Daisley jointed the band. That year, Malmsteen was in a serious car accident, smashing his V12 Jaguar E-Type into a tree, which put him in a coma for a week. Nerve damage to his right hand was reported. During this time, Malmsteen's mother died from cancer. In April 1988, he released his fourth album Odyssey. Odyssey was his most successful album, in part due to the success of its first single "Heaven Tonight". Shows in the Soviet Union during the Odyssey tour were recorded and released in 1989 as a fifth album Trial by Fire: Live in Leningrad. The classic Rising Force lineup with Malmsteen and the Johansson brothers was dissolved in 1989 when Jens Johansson joined Dio and Anders joined Blue Murder.